Now anyone can learn a foreign language while commuting to work, running errands, or even taking a trip with the family. The new all-audio "Drive Time" series starts with an ingenious "On-Ramp" CD that eases language learners into Spanish, French, Italian, or Japanese with simple, practical expressions and engaging warm-up exercises. Three additional CD's contain 18 lessons that cover all of the essentials-vocabulary, pronunciation, grammar, and basic conversation. 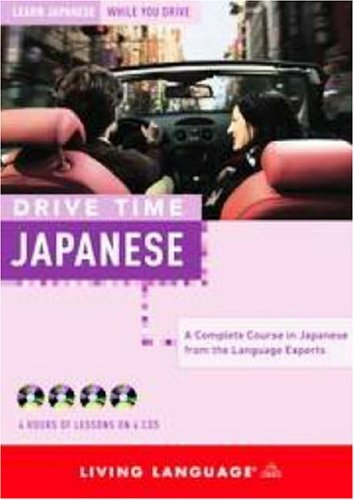 "Drive Time" also includes a 64-page reference guide for anyone who would like to see spellings or read dialogues as a review-from the passenger seat, of course! Please reupload this book with CD's, link is dead.